» Two *HOT* Limited Time Holiday Gift Ideas- This Morning Only! Home » Online Deals » Two *HOT* Limited Time Holiday Gift Ideas- This Morning Only! Two *HOT* Limited Time Holiday Gift Ideas- This Morning Only! There are two ideas for awesome holiday gifts for someone else or even yourself that will be available this morning only! 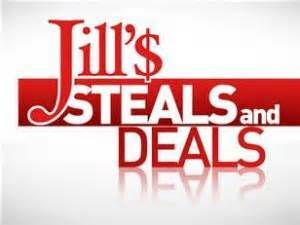 1- Jill’s Steals and Deals on the Today Show will be announcing a HOT deal on American Girl dolls this morning! Stayed tuned to the Today Show website (and HERE) a little later this morning. She usually offers the dolls for up to 60% off and they will go FAST! 2- Tiny Prints (an affiliate of Shutterfly) is offering a customized phone case like this one for half price this morning only until 12 PM PT (3 PM EST)! There are literally hundreds of designs you can choose from for iPhone or Samsung phonse at Tiny Prints. You can also design one from scratch. This entry was posted in Online Deals and tagged American Girl, Jills Steals and Deals, Tiny Print. Bookmark the permalink.